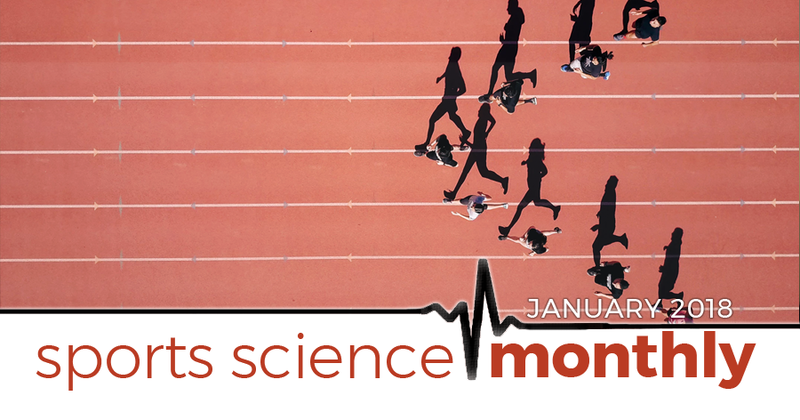 In our round-up of sports science this month we focus on nicotine as a performance enhancer, stress fractures, repeated sprint ability, a new sports science journal, the immune system, caffeine, and return to play from hamstring injuries. Hamstring injury return to play: what do the coaches think? » Quick Summary: The use of nicotine is prevalent in sport, and its use is monitored by WADA. However, the research on the ergogenic effects of nicotine is poorly developed, and at present it appears there is no performance enhancing effect following its use. For a while I’ve had an idea of writing an article on what I term “dark-side” supplements; things that are legal, but perhaps a bit ethically grey. Whilst almost no-one has an issue with caffeine being used in sport (even though it is a drug, and it certainly improves performance), people are less comfortable with, say, pseudoephedrine (which is a drug that improves performance – it’s banned in competition by WADA, but athletes are allowed to use it during training). This illustrates what is quite often an arbitrary line in the sand between supplements that are legal (caffeine), and supplements that are banned (pseudoephedrine). Then there are those ergogenic aids which aren’t banned at all, but which athletes probably wouldn’t consider, or if they were using it, probably wouldn’t say they were. Nicotine is one such ergogenic aid, one which has fascinated me for a few years. It isn’t currently banned by WADA, and there have been tidbits of research over the years indicating that it could well be performance enhancing. I’ve only ever tried it once, when I was retired, because ethically I felt uneasy using it, and still do, although I’m not sure why – perhaps due to its association with smoking. I do, however, know a couple of athletes who use it as a stimulant pre-race, and find it very useful. That’s why a recent review in Sports Medicine on the use of nicotine in sport caught my eye, which hopefully will provide some evidence based context and guidelines on whether nicotine is a worthwhile ergogenic aid to consider, or not. Nicotine in widely used in Major League Baseball, often delivered through the use of chewing tobacco. Research since 2000 indicates that around a third of MLB players used chewing tobacco. A paper looking at almost 450 Finnish athletes found that 25% used snuff on a daily basis, a rate five times greater than non-athletic controls. At the 2009 World Ice Hockey Championships, traces of nicotine were found in urine samples of every single player tested. This doesn’t necessarily mean all were using nicotine as an ergogenic supplement, as it is found in foods and other environmental agents, but it was determined that active nicotine use was evident in just over a third of samples. Similar prevalence of nicotine use has been found in other sports, including American Football, bobsleigh, rugby, and skiing. Athletes, then, are clearly of the belief that nicotine may improve performance. Nicotine is similar to caffeine in that it reaches peak concentrations within the blood between 30-60 minutes after consumption, and is metabolized by CYP450 enzymes. Nicotine’s half-life is 1-2 hours, about half that of caffeine. Nicotine works by increasing the activity of neuromodulators such as dopamine and adrenaline, which can cause it to act as a stimulant. It also increases heart rate and blood pressure, increasing the blood flow to muscles. It may also reduce feelings of pain. All of this is likely of interest to athletes. However, compared to caffeine – which is exceptionally well studied – the effects of nicotine use are poorly studied in athletes. The author of this paper found 10 studies, with an average sample size of just seventeen. The results of these studies are fluffy at best. Three studies examined the effects of nicotine on strength and power; one found it improved performance, one found it reduced performance, and one found no effect – the perfect trifecta of conflicting results! Similar results are reported for effects on endurance and high-intensity exercise, with a general consensus that nicotine has no effect on performance. One potential reason why nicotine is considered a grey area is because of its link with smoking. Smoking is typically seen a bad thing to do, and so the chemicals that are delivered to the body through smoking get caught up in this. Because smoking is linked to so many health issues, nicotine often inadvertently is as well – it can be hard to disentangle the negative effects of the delivery mechanism (smoking) from the drug (nicotine). Nicotine is highly addictive, and there is some evidence (although not a huge amount) that long-term exposure to nicotine is linked to cardiovascular disease and cancer. Long-term use of nicotine gum has also been linked to insulin resistance, which can progress to type-II diabetes; it isn’t clear, however, whether the improvements in insulin sensitivity that occur as a result of training offset this risk. Overall, whilst nicotine use is certainly prevalent in sport, there doesn’t appear to much evidence supporting its use. This is partly a function of the low number of studies, and indeed much more research is required before we can say for sure whether it’s worthwhile. It seems that short-term (i.e. pre-competition) use is likely safe, whereas long-term use is perhaps less safe. Finally, nicotine is on WADA’s “watch list”, meaning that they think it is either performance enhancing, or damaging to health (or both), which is something else that needs to be kept in mind when considering nicotine’s use.